One of the foremost talents in film music today, Golden Globe-nominated composer Christopher Young has scored an impressive number of features in virtually every genre. The spine-tingling “Hellraiser” showcases the composer’s seminal upbringing in horror; the new-techno sound of “Swordfish” displays his versatility; the resonant, genuine Celtic sounds of “The Shipping News” display his attention to detail; to the heart-pounding rhythms of “Spider-Man 3” are all evidence of his willingness to experiment. These scores are among the nearly 100 films that embody the work of this prolific composer. 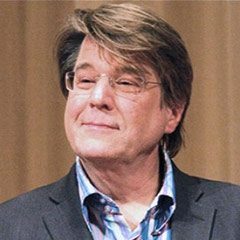 The prolific composer was recently awarded BMI’s prestigious Richard Kirk Career Achievement Award; past recipients include Danny Elfman, John Williams and Jerry Goldsmith. During this time, Young scored MGM’s “Species,” which became a box-office sensation. For his work, he received a Motion Picture Sound Editors Golden Reel nomination. His next work was the resonant score for “Murder in the First,” completing an era marked with major turning points in Young’s career. Immediately following “Bandits,” Young scored the Miramax romantic drama, “The Shipping News,” directed by Oscar nominee Lasse Hallstrom. Young received both Critic’s Choice and Golden Globe nominations. Earlier in 2001, Young further displayed his versatility with the composition for Warner Bros.’ “Swordfish,” as he incorporated elements of DJ Paul Oakenfold’s hypnotic trance into his orchestral score. Young has also collaborated with Oscar-winning director Curtis Hanson on “Wonder Boys” starring Michael Douglas and “Lucky You” starring Drew Barrymore. His other works include the scores for “Head Above Water;” “Beauty Shop,” starring Queen Latifah, “Ghost Rider,” and “The Exorcism of Emily Rose.” He recently scored “Untraceable,” starring Diane Lane. Furthermore, Young delved into the dramatic with “Sleepwalking,” starring Charlize Theron. Young worked closely with Theron who was also a co-producer on the film. Young likes to say that he has two distinct sides: one side that is attracted to abstract ideas and 20th Century music, and the other that enjoys writing “the great American tune.” That dichotomy serves him perfectly as a film composer, constantly called on to write the most dissonant music for a suspense cue one minute and collaborate with a lyricist on an R&B track (“Give me a Reason” with Dave Hollister for “in Too Deep”) or a love song (“Against the Wind” with vocalist Lori Perri for “Set it Off”) the next. Christopher Young says he has been blessed with his career so he gives back to the film music community. He has taught in film scoring for over ten years, a two-term past president of The Film Music Society and the president of the Madrid Film Music Festival in Spain. He also purchased a residence to house students and struggling young composers.